Daimon Brewery is located near JR Kawachi Iwafune Station. The brewery have been making high-quality Sakes since founded in 1826. The founder of Daimon Brewery, Hanzaemon Yoshiyuki, started to make Sakes using Katano’s local Sake rice and natural water. His brewery was named as “Sakahan”. Katano is embraced by a favourable environment. Pure water from the Ikoma Mountains grows a variety of crops. Rich nature contributes to clean air. Daimon’s location can be said to be a place beloved by nature. Daimon is challenging a lot of new things. For example, the Daimon’s representative of Sake craftmen, Mr. Yasutaka Daimon, invited a foreign business partner to his brewery for the purpose of promoting Katano’s Sakes beyond borders. says that “the location of Kansai is an unusual situation where Osaka, Kyoto, and Nara are all in triangle together…Osaka is an economic city, Kyoto is a historic city, and Nara is an ancient city”. Particularly, he highly evaluates the location of Katano. 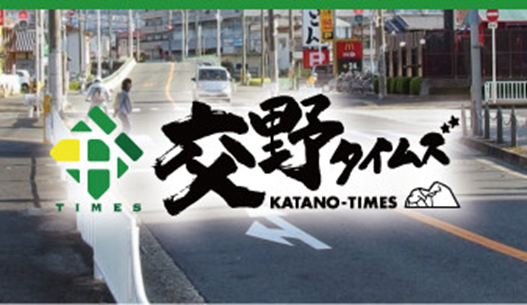 “Katano is the middle of the three cities. It is a great location. You have access to Osaka, Kyoto, and Nara”. Now, Mr. Marcus is working in Daimon Brewery with his small team. The collaboration with Mr. Marcus and Mr. Daimon has achieved a lot of good results. For example, they reopened a restaurant, Mukune Tei, organised company tours, and held Sake festivals. Furthermore, they started to grow their own Sake rice and produces in Katano. They want to provide Katano’s local craft Sakes to Osaka and Asian markets. To differentiate their business from others, Daimon has expand the use of local crops. Katano’s contract farmers are growing produces for Daimon. This is the first challenge for Daimon in past 20 years. They are also planning to use local crops for their restaurant. “The market environment is always changing”, Mr. Marcus says. “We will stay craft Sake for old customers. (But) we will change for young generation. They are more interested in foods and alcohols and pairing foods and alcohols, even flavouring foods and alcohols”. To keep up with the dynamic market environment, Daimon has two business focuses. One focus is Kansai and Osaka. Daimon has their customers beyond boarders. However, many Daimon’s fans are living in Osaka and Kansai Area. The fans love Daimon’s craft Sakes for decades. Mr. Marcus says “we will stay craft. we will continues to make our old customers happy”. Daimon will not change their traditions that have been created with past and present customers. On the other hand, Daimon is always innovating their Sake making skills in order to attract new customers. “We believe that we will change for younger generations. They are more interested in food and alcohol and in pairing food and alcohol”. 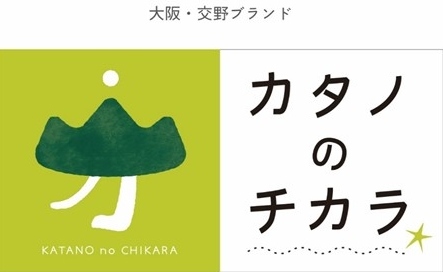 To attract the young customers, Daimon hosts various seasonal and music events in their restaurant named “Mukune Tei”. For example, a seasonal event, Daimon Sake Festival, provides the customers with Daimon’s Sakes and foods. Through those events, Mr. Marcus wants them to have an interest in Sake making and the history of Sake. The characteristic of the young customers favours not much drier Sakes but much sweeter ones, Mr. Marcus analyses. This is a big change for Sake business. “Last 20 years, Sake consumption moved to much drier profile…(But) now, they are starting to move toward mush sweeter. That’s because younger genrations favour a much sweeter flavour”. Daimon has started to produce sparkling Sake for this customer tendency. The second focus is an overseas market. The Sake market is expanding beyond Japan. In particular, under the “Cool Japan” policy promoted by Japanese government, Japanese foods and drinks are spreading all over the world with Japanese cartoon and other cultures. Daimon also focuses on their new market strategy for overseas markets. Mr. Marcus says “The current connections are Chine, Hong Kong, Singapore, and Thailand. We hope to expand (Daimon’s brand) all of Asia”. The third focus is the production of their original Sake. Daimon was well-know as one of Katano’s Sake brewery which mainly produced dry Sake such as Kikuyoro. But, Mr. Marcus says “World taste is changing. Because people have Sushi one night. Then they have Korean barbecue next night”. Now, we can obtain ingredients for many types of world cuisines in Japan. In other word, we can enjoy multinational foods and drinks in Japan. People’s food favourite is becoming diversified compared with past 20 years. To answer people’s favourite, Daimon is making not only dry Sake but also sweet and distinct Sake. “We are more accustomed to having variations across large spectrum”. Daimon is always pursuing “What is the best for customers”. Therefore, Daimon continues to produce a variety of their original Sake along customers’ needs. Finally, Mr. Marcus sends a message to readers as follows. “Enjoy Sake. Sake is very unique. It’s very unique to Japanese cultural important item. It has association with Kami. Most alcohols today do not have direct association with spirits and spirituality. But, (in Japan) in every shrine ceremonies, people drink Sake. Sake is core of spirits of Japan”. “Enjoy Sake and enjoy sharing Sake”.